A classic problem in business is when people with technical skills are promoted to managerial positions which they are not equipped for. A great engineer, chemist or lawyer may say to themselves, “S**t!” when promoted to a new manager and it becomes apparent that a very different skill-set is now needed. 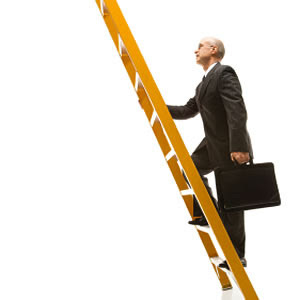 This article is for people in that position or HR personnel who wish to support new managers. In order to develop the necessary skills managers must first recognise the “skill gap” and acknowledge that something needs to be done about it. The mind-set that managers bring to this is crucial “S**t, I’m a manager!” is quite different from “I’ve learnt before, I’ll learn again” for example. Once a skill-gap has been identified the relevant training should be provided (often soft skills). Ideally this will be provided before a move into a leadership position but realistically it may happen after. If a manager is aware of a need but not getting support they may need to insist (it is an obligation for employers to suitably train anyone for a role) or go outside and get the training themselves. Mentoring is a great way for new managers to learn “on the job”. Often people respect and relate to those who have made an equivalent journey themselves. New skills take time to acquire and improved people skills are no different. A new manager will need to be committed and practice whatever they learn (just reading a Daniel Goleman book won’t cut it). After a suitable period of training, mentoring and adaptation an evaluation needs to be made as to if the new manager is suited to a leadership role. Some may be happier in a technical role – having a company structure that allows financial progression without managerial responsibilities can be beneficial. Managerial So What: If promoted from a technical to a managerial position new skills are needed and can be learnt.